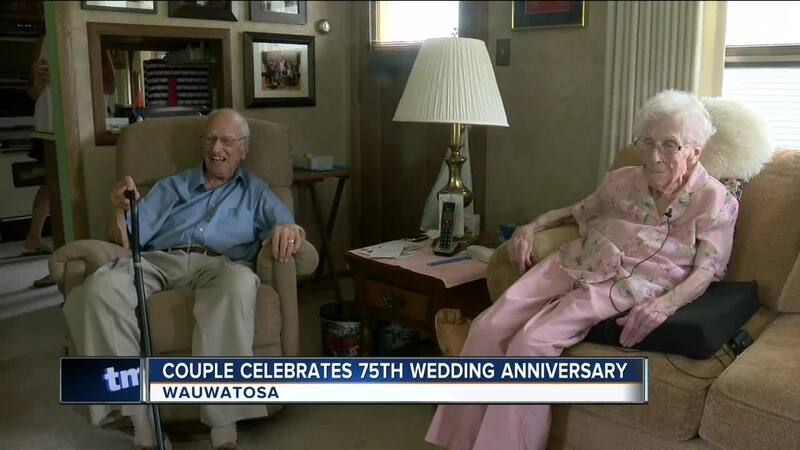 WAUWATOSA – A Wauwatosa couple celebrated their 75th wedding anniversary over the weekend. Forrest Meyer is 97 years old -- and his wife, Arleen, is 95 years old. Family from all over the country was at their home to celebrate the big event. The happy couple says staying married this long is simple. “Just do a lot of things together-- activities and such,” said Arleen. “Never have an argument--- she’s always right," said Forrest. The couple still has the wedding dress and the tux from the big day 75 years ago – and both still fit into them.